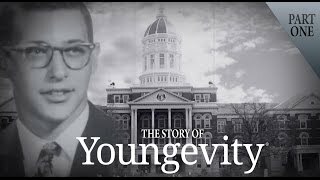 Youngevity Story: Part 1 Since its establishment in 1997, Youngevity has had one mission, to improve the lives of individuals through vibrant health and wealth. Due to its founder Dr. Joel Wallach, Youngevity has become a leader in the mineral supplement industry, spreading the 90 For Life message throughout the world. Over the years, continued growth and innovation has established Youngevity as one of the most successful companies in the industry. And this is just the beginning. Youngevity does not guarantee any level of success or income from the Youngevity Opportunity. Each Independent Marketing Director’s (Independent Distributor’s) Income depends on his or her own efforts, diligence and skills. 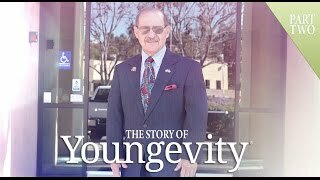 Youngevity Story: Part 2 Once Youngevity Founder, Dr. Joel Wallach had his plan for success laid out, he began to spread his message to the world; the message of optimal health and wellness. This 90 For Life message would change the health and wealth of thousands of individuals around the world. Youngevity Story: Part 3 With Youngevity experiencing so much growth over the last decade, what does the future hold for Youngevity's distributors and customers? In the months, years, and decades to come, Youngevity will continue to pave the way in the industry; changing the lives of millions more!